Happy Birthday, Picklee- Your Favorite Posts of 2013 + a Giveaway! YOUR TOP 10 FAVORITE POSTS OF 2013! Looking for something quick & healthy for dinner? Our post on weeknight meal ideas has something for everyone! Who couldn’t use a little help organizing? 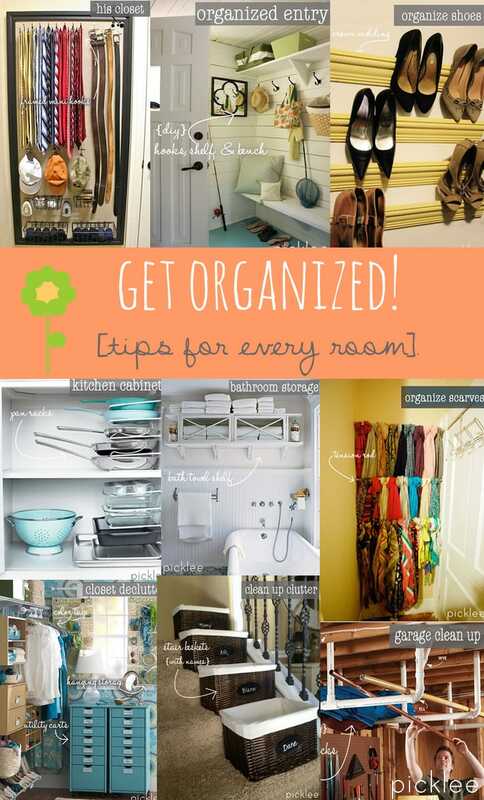 This fabulous post shares fun de-cluttering tips for just about every room! After struggling with getting the perfect stripes in my own home, I found the secret! Learn how to paint perfect wall stripes in this home improvement tutorial! Perfect timing for this favorite post! 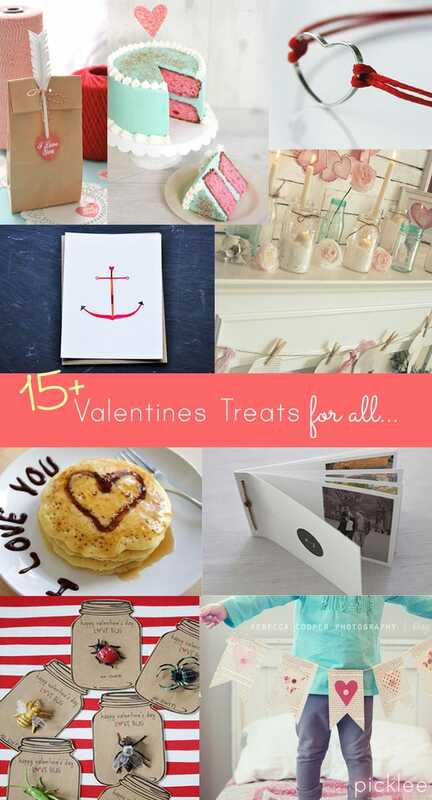 Our DIY Valentines post shares inspiration for giving and creating something perfectly sweet in every way! Painted stairs were a huge trend in 2013, and I’m still loving them! Painted stairways will instantly transform your space for very little cost, you won’t believe some of these transformations! Believe it or not, Spring is just around the corner! 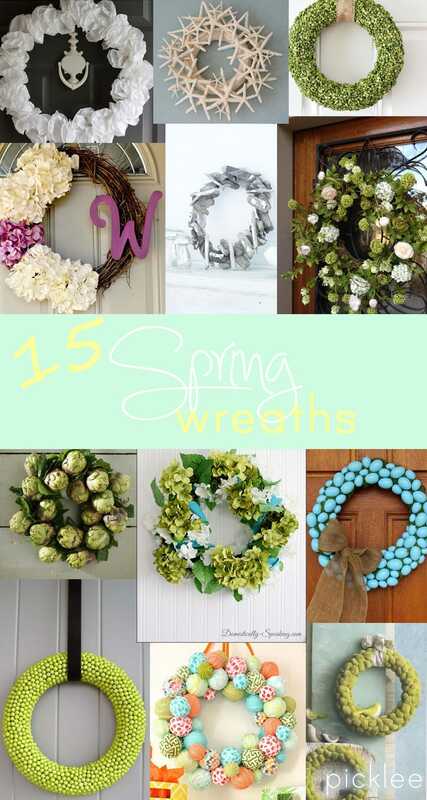 Start dreaming up your next DIY Spring wreath with this inspirational post! 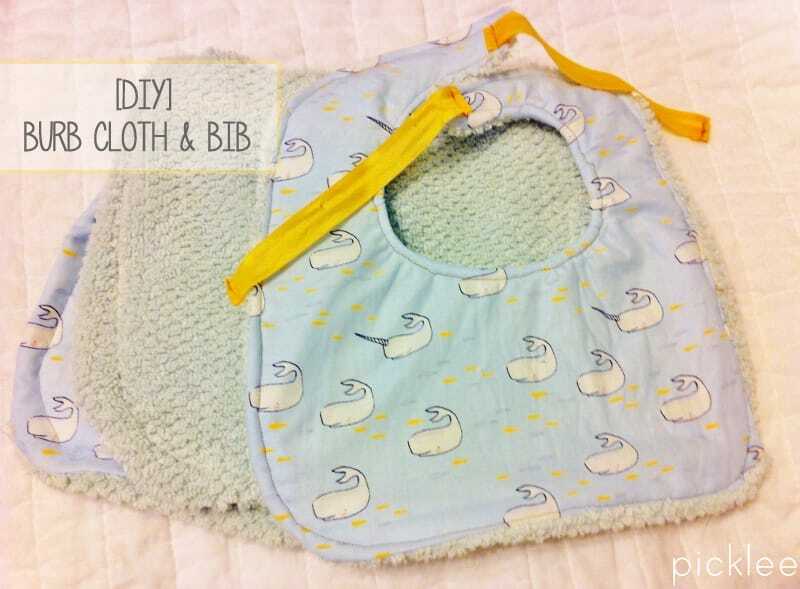 Inspired by my new baby nephew, I created this simple DIY Bib & Burp Cloth tutorial using a towel and some fun fabric! 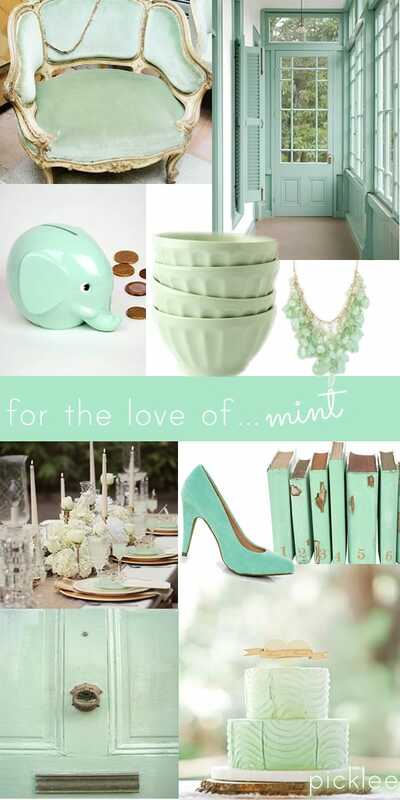 Mint was another huge trend in 2013, this post shares some very inspiring things…all mint of course! 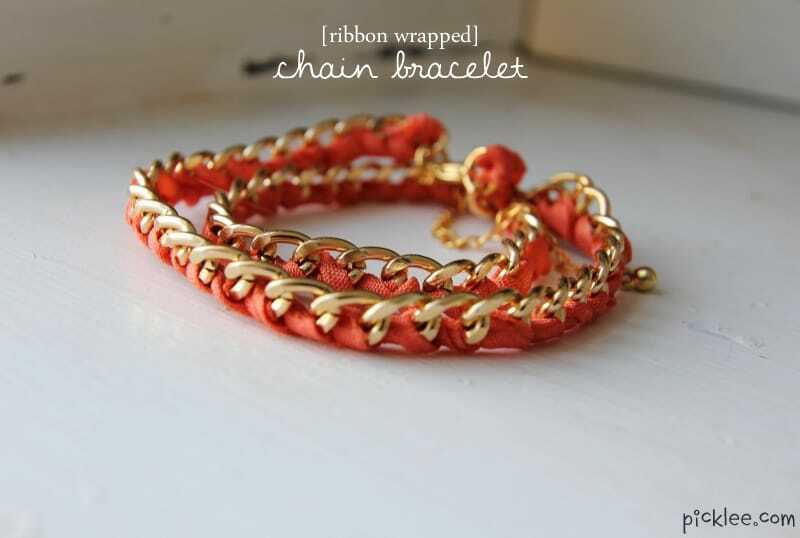 This DIY ribbon wrapped bracelet was one of the simplest pieces of jewelry we’ve ever made on Picklee, and she’s a beauty too! I hope you all enjoyed this trip down memory lane! It’s been a wonderful second year for Picklee! Now it’s time to GIVE AWAY! 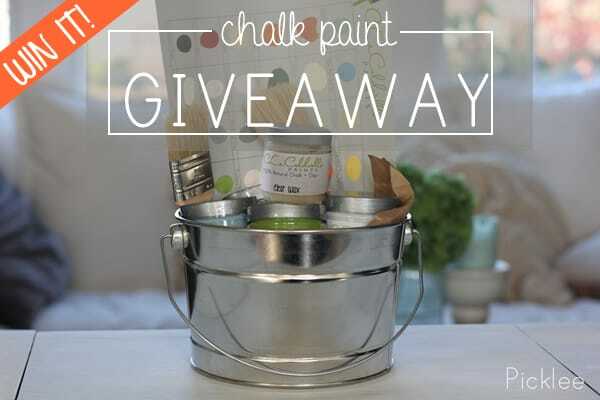 Enter to win this complete CeCe Caldwell’s chalk + clay paint package. Chalk & clay paint is 100% natural, and covers just about any surface without priming, sanding or prepping…talk about a miracle product! 1. Follow Picklee on Facebook & Pinterest, tell us in a comment below once you’ve done both! 2. Leave a comment on today’s post telling us how you’d use your chalk paint package! The winner will be selected and announced in our newsletter on February 4th, so make sure you’re subscribed stay tuned! *UPDATE! * Thank you to all who entered the Chalk Paint Giveaway! The randomly selected winner is Caitlin Q.! Congrats Caitlin, you will receive an email shortly to claim your prize! I am buying a new house and there are a few pieces of furniture I want to redo to change the look in some of my rooms! I would love to win so that I can accomplish my goals! This is an awesome blog. I have an old hutch that needs to be refinished. I would love to do it with this paint. I would use the paint to add some color to my beige life! Love your blog, and I follow on Pinterest and FB. I have so many ideas and projects and this giveaway would be a great motivator!! I would love to use your chalk paint to white wash my hardwood floors, just like your DIY wood plywood floor! Would love to win this giveaway so I can get started on a project that I keep putting off because I’m scared I’ll mess up the paint colors! First, Happy Birthday to you both! We have just moved near the beach and would love to be able to paint some of our furniture to make it fit the beach décor. Thank you so much for the opportunity to win these products. Happy Birthday! Thank you so much for the opportunity to win these products. I love your site so much. I live with 3 guys -all at the age of 21- and we are in need of a message wall – so I can leave todo list and remiders for them lol – I would love to get some chalkboard paint for a wall in our kitchen. Happy Birthday! I was in the store Friday and bought some of the aging cream to use on an old hutch! 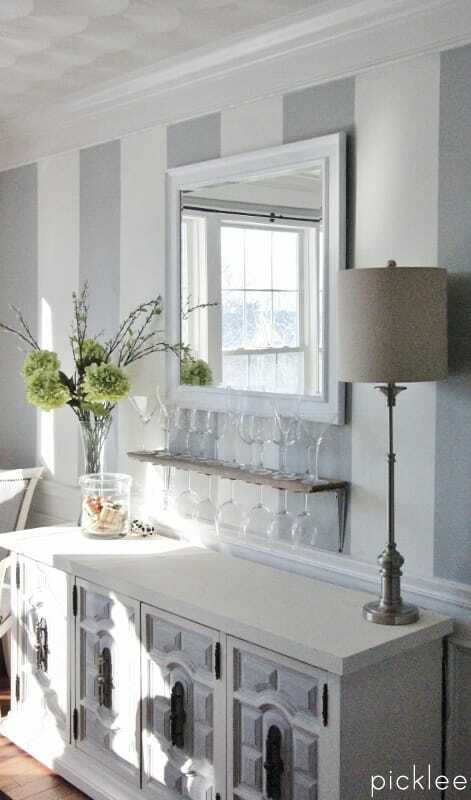 I would love some new colors to work with..love how easy the chalk paint is to use. Happy Birthday! Subscribed! I would love to use your chalk paint to transform my outdated kitchen cabinets. I follow your website and Pinterest constantly! I would use your chalk paint to redo my accent chairs. Maybe a vibtage white chalk paint slightly weathered. I would love to refinish a old trunk and table with the paint! I’d love to know how you create these effects if you want to share but I can understand if you don’t want to. By the way, thank you for sharing this article, it’s really great.